Srujana Chakilam, MD - Heart Center Of North Texas, P.A. Dr. Chakilam graduated from the Gandhi Medical College in Hyderabad, India. 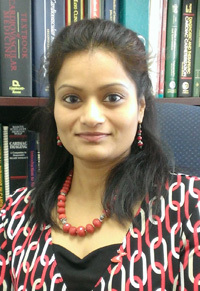 Dr. Chakilam finished all her post graduate training at St. John Hospital and Medical Center, Detroit. She completed her residency in Internal Medicine in 2009 and went on to become a Chief Medical Resident in 2009-10. She pursued her Cardiovascular Fellowship and also served as Chief Cardiology Fellow in 2012-13. Dr. Chakilam is board certified in Cardiovascular Medicine, Adult Echocardiography, Nuclear Cardiology and Internal Medicine. She holds staff privileges at Medical City Fort Worth, Baylor All Saints and Texas Health Harris Methodist in Fort Worth and Medical City Weatherford. Dr. Chakilam is a member of the American College of Physicians, American College of Cardiology, American Society of Echocardiography and the American Society of Nuclear Cardiology. Dr. Chakilam’s areas of special interest include heart disease in women and preventive cardiology. Dr. Chakilam is available to our patients in the Fort Worth and Weatherford offices.